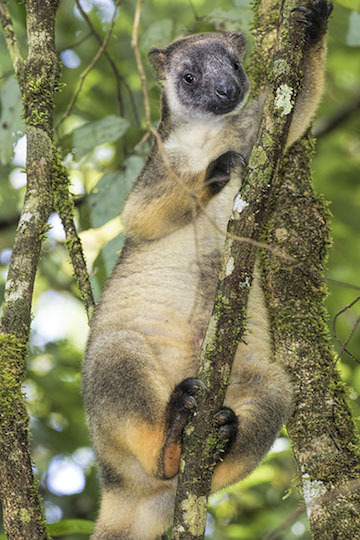 Tree kangaroos are very odd arboreal marsupials found in rainforests in Australia and New Guinea. 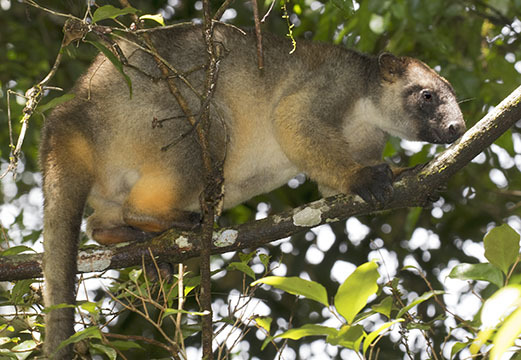 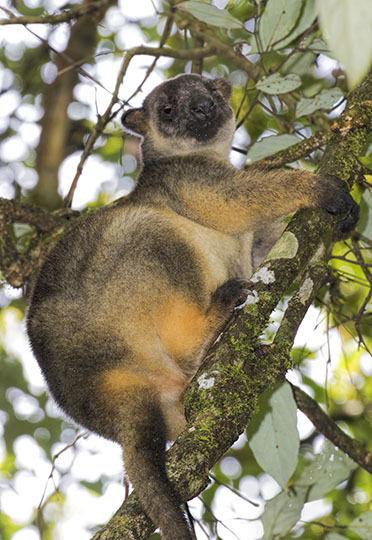 Two species occur in Australia, both in far-north Queensland: this species (the more readily seen) and Bennett's tree kangaroo. 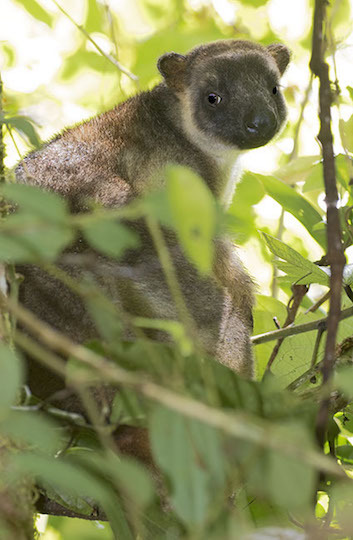 This one was feeding on a vine in a park on the Atherton Tableland. 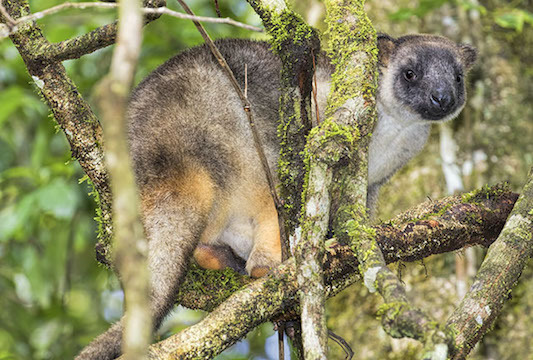 Tree kangaroos act like they're not particularly pleased with the tree-dwelling life evolution has handed them -- they move slowly and carefully, seemingly worried about falling, very unlike the carefree movements of monkeys and squirrels.